I don't see anywhere saying what changed thus I can't really say. 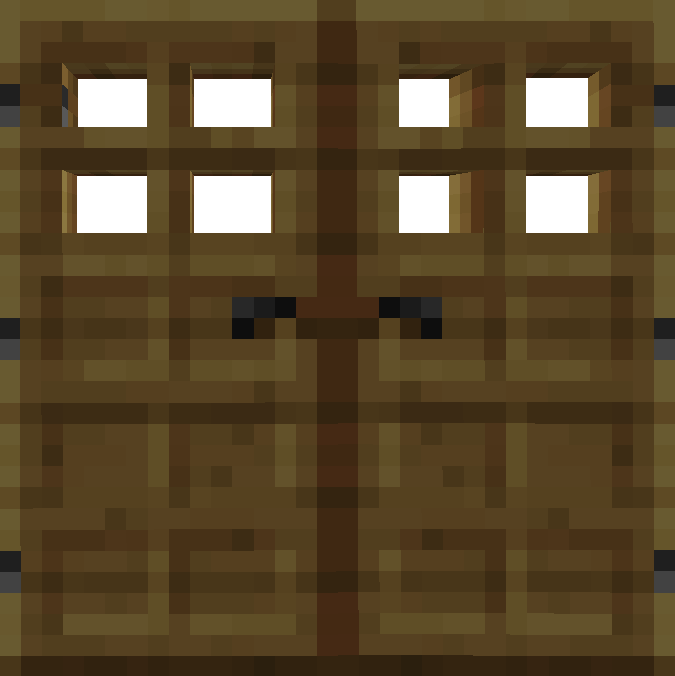 I doubt this will be updated to 1.12 by us. If anything V2 will get finished and released instead. All I know is when I try to load in my 1.11.2 scripts they don't work. I guess maybe wait til v2 comes out if it comes out for 1.12, I bet it'll be better anyway. I guess if there is a way can you do a furnace and anvil creator as well. It would be nice. Up to you all. But thanks for your quick response. I appreciate it. I'm thinking I was using minetweaker code and it worked in 1.11.2 but I guess not in 1.12. Will the configurations done be permanant? And will stay on the config or something liek dat? Its just an editor for Mine/CraftTweaker. I recommend you research them. You can't modify NBT related things with MTRM. See the Mine/CraftTweaker Wiki for how to do that. Thanks for the quick reply. I was afraid that was how it worked. 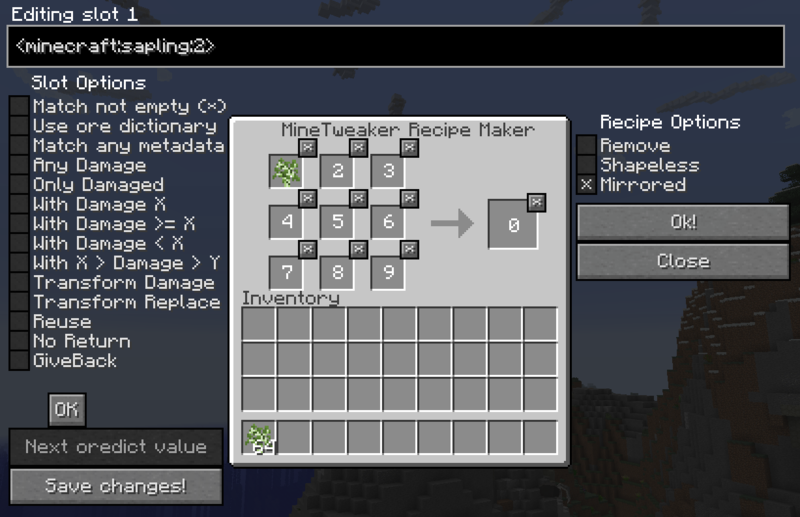 So in theory I can create the regular recipes, and then edit the NBT into them outside of game? yep. just open the file and add it on to whatever you want changed. Cool thanks. Also I know there's ways to do it using other mods, but having the GUI keybinded is really useful and I think would go well in the MTRM. does the made recipes get added to its own .zs folder so that its permanent and can be edited by the .zs file itself? Is there anyway to convert the 1.11 crafting code to 1.12? We don't have anything to do with Craft/MineTweaker. We know thing about the 1.12 changes. It should be the same, assuming the items you use have the same ids. I've never used inter-version scripts, but since it says Crafttweaker is a continuation, not a rewrite, then it should be the same mod updated to different versions. unfortunately not. I have my 1.11.2 code but when I try to load it into 1.12, it can't understand null, it has error parsing where it didn't before, and etc. Even the crafttweaker website tells you it has changed in 1.12 but not quite sure how what it means on how to fix it. I'm using this for Infinity Evolved, does Avarita work with the ingame interface? Yeah sure! Let me get right on that! We will just ignore the fact that forge isn't out of beta and isn't in the middle of rewriting large portions of code to work with the new crafting systems! While I'm at it I'll just remake Craft/MineTweaker too for a totally unusable forge version! People that run around and beg for 1.12 updates look like fools. Not to mention you will be the first to complain when it doesn't work even though you were told its going to be broken. Thank you for using your brain today. I run a server and am a level 4 op on it, yet I don't have permission to edit recipes... I have to fix two conflicting recipes.